Tulum is a historical, exotic, eco-friendly, and overall beautiful place! 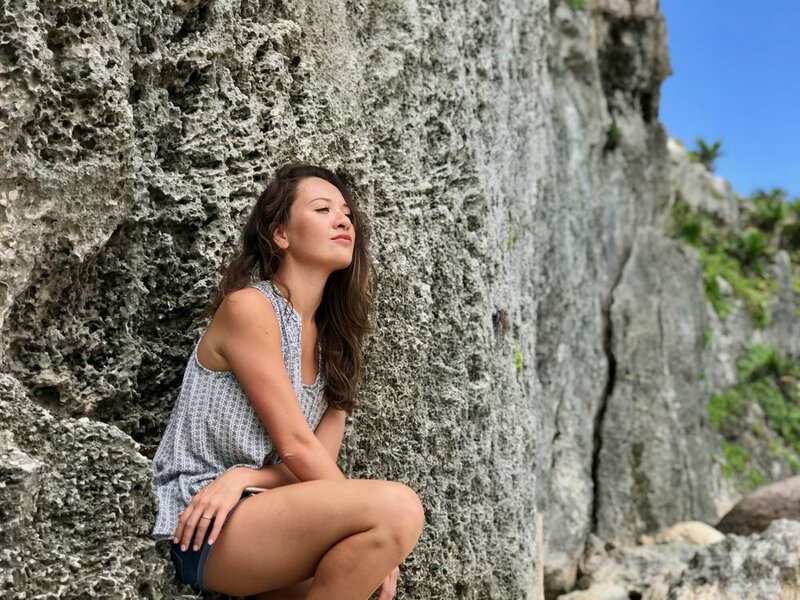 While this trip as a newly married couple + first time to Mexico taught us a lot about the difference in lifestyle from Florida vs. Mexico, it was breathtaking! As videographers, we couldn't help but also bring our cameras with us - we used GoPro and Sony Alpha - to film and make a travel video (below) of this special trip we can remember for years to come! After essentially planning our wedding in just 3 months and getting married in November (the struggle and stress was real! hah), I'm glad to finally reflect and get back to sharing life's milestones. Especially being newlyweds, this is just an outright exciting time of life. Things are new, outlook is fresh, and we have a lot of goals for the year (and years) ahead! Starting married life with an epic trip to a foreign country was definitely a check on the bucket list. Over the past 5 years, Chris and I have traveled quite a bit through the US & Caribbean, however the fun little moment of stamping our passports as newlyweds just 1 day after being married was surreal. Mexico isn't far from Florida - actually just a hop and skip over the Gulf of Mexico, but it feels like worlds away! They don't have an electrical grid that's as developed as what we are used to in the US, nor water pressure, and also filtration systems (hence the motto of "don't drink the water"). Most Tulum hotels and resorts are all-inclusive, which is a luxury even to US standards, yet even in these all-inclusive resorts, we quickly realized all-inclusive there still won't be what we are used to when staying all-inclusive in the US... like "free wifi" is not a standard thing hah! Even more so, expecting air conditioned rooms and really hot water is a luxury too. While all that seems like it'd pose an inconvenience, luckily our resort in Tulum had all of that once we upgraded to a premium room - and upgrading was SO worth it: they told us it'd be an extra $275, we then thought "oh, per night? ", but no - that was for all 4 nights that we stayed. US to Mexico exchange rate was awesome and there were a lot of flight options at competitive prices from Florida! That's reason alone to think about taking a trip to Tulum/Cancun if you need a getaway but don't want to spend $1,000s for a week vacation. Sunday - an AM flight in, arrive + meet the shuttle driver, get to the all inclusive resort, check in + pickup car rental, then enjoyed an onsite restaurant for dinner. Finally, RELAX! Our wedding day in Miami the day before was so long, it was nice to have some down time together. 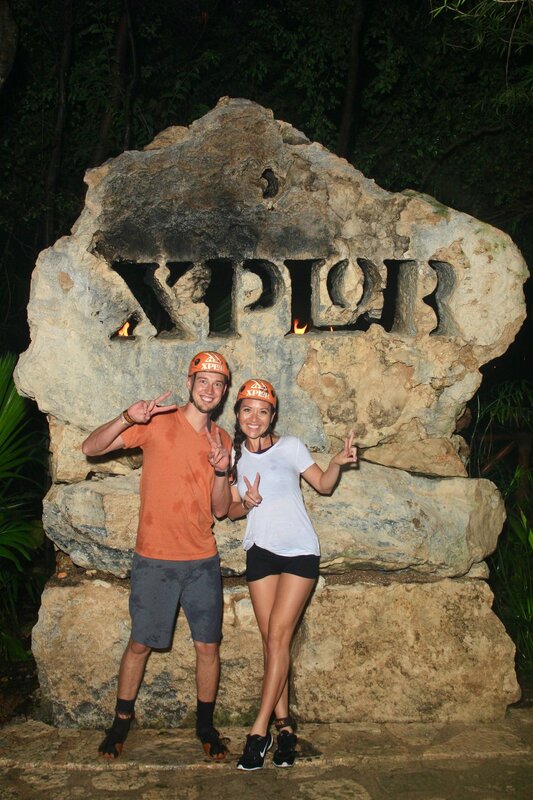 Monday - AM: hung out at the resort's beach | PM: we drove 45 minutes up to Xplor Adventure Park that has ATVing, zip lining, and cenote cave rafting. 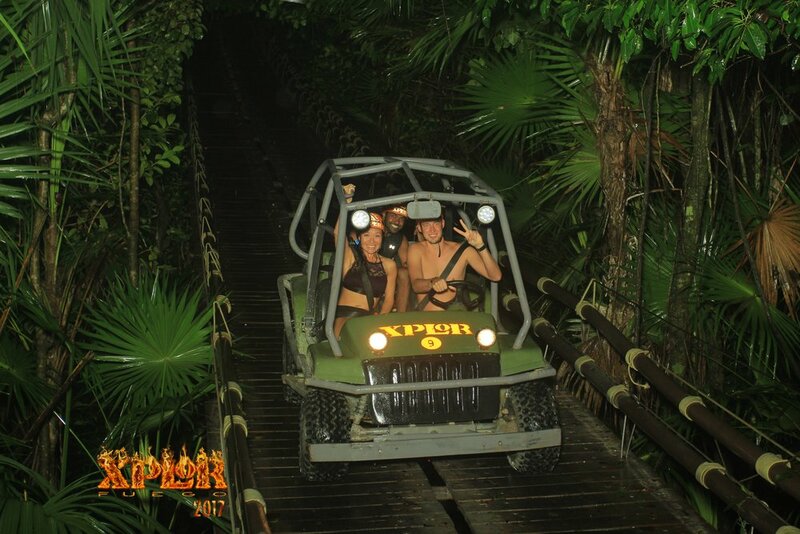 At night they turn the park into an Xplor Fuego experience! Flame-lit tiki torches light the pathways through the jungle, and have flame effects in the caves and ATVing trail! You even zipline through a ring of fire before going through a waterfall into a cave and landing into the pooled water of the cenote! So awesome, its a MUST DO! Tuesday - Explored the Tulum Ruins and Tulum Beach all day. Tip: park for $10 and expect to walk like 1/4 mile to the entrance. We bought a tour from the front desk, but we felt the money wasn't worth it entirely... it was probably the same information you could probably read about on Wikipedia or a few Google searches, hah! | PM: We had dinner at El Capitan's (more mexican food!). Then we went snorkeling at Akumal beach. The locals tried to force us to rent a life jacket so that people don't step on the seagrass which the turtles eat. You should always keep a good distance away from sea turtles as they are a protected species, but don't be forced to spend money on a life jacket - just be cautious and avoid contact with the turtles and their edible habitat. Wednesday - Coba Ruins in the morning (get there early before the tour groups arrive). Definitely rent a bike! It was just 7 bucks! I can't stress this enough. The ruins at the front entrance are close in proximity but to get to the main climbable pyramid, its easily 1 - 1.5miles deeper into the jungle, and then there's more around there. In the afternoon, on the drive back, we went to Gran Cenote. This was really fun exploring the caves, and I was honestly a little creeped out at how pitch black and abyss-like it was at the bottom of the cenote when swimming. Cave Monsters, yep the thought crossed my mind - hah! Afterwards, we explored the Tulum boutique hotel row and ate dinner at La Zebra Hotel. Thursday - AM: we explored the Akumal beach and jetties outside of our hotel that had a gorgeous gazebo. Around 2pm, had to catch our shuttle back to Cancun airport and that was it! I hope the travel video (above), tips & guide is helpful. Overall, Tulum is huge on eco living amongst the hotels - especially the further south that you go off the grid. The food is fresh, MOST of the locals are nice and hospitable, and there's tons to do for adventure seekers. I'd love to hear your ideas of affordable vacations abroad, and if you've ever been to Mexico as well - leave them in the comments below!